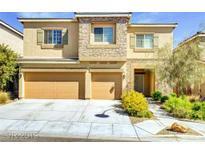 Below you can view all the homes for sale in the Grand Teton Village subdivision located in Las Vegas Nevada. 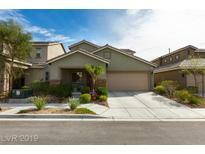 Listings in Grand Teton Village are updated daily from data we receive from the Las Vegas multiple listing service. To learn more about any of these homes or to receive custom notifications when a new property is listed for sale in Grand Teton Village, give us a call at 702-930-8014. Low maintenance backyard with firepit, fountain. MLS#2087615. Weichert Realtors - Aspire. Close to schools, parks, shopping and freeways. MLS#2087298. Coldwell Banker Premier. Fantastic first home for you family ~ Near great shopping and restaurants and easy access to the 95! MLS#2085528. Vegas One Realty. Formal living room at entrance that's being used as office/ reading room. A MOVE IN READY HOME! MLS#2086560. Love Local Real Estate. This One Is A Crowd Pleaser To Schedule Your Showing Today! MLS#2086252. Keller Williams Market Place. Dining Rm*spacious Kitchen; Stainless/Upgrd Cabinets/Brkfst Bar/Dining Area/Blt-in Dbl Oven*super Awesome Family Rm/Great Rm Off Kitchen Has Cozy Fireplace*bdrm Dwn/Full Bath*cabinets In 1st Flr Lndry Rm*fabulosu Mstr Bdrm Has Sitting Rm; Balcony Off Master Offers Phenomenal Views>huge Walk-in Closet/Sunken Tub/Sep Shower*casita Used As Work-out Rm* MLS#2085752. Resolution Realty. RV parking allowed by HOA. This is a must see. MLS#2083886. Redfin. Nice-sized LOFT & super-cute, low-maint backyard w/FIREPIT too! MLS#2084542. Wardley Real Estate. Beautiful Move-in Ready 5 Bedroom Home With A Loft* This Home Offers A Bedroom Downstairs With A Full Bath, Stainless Steel Appliances, Granite Counter Tops, Oil Bronzed Fixtures, Solar Screens, Reverse Osmosis, New Two Toned Paint, Side Courtyard With A Park Like Backyard* Come And See The Pride Of Ownership In This Home* MLS#2084292. Elite Realty. You're going to love it! MLS#2082051. Realty Pros. Great Access 215/95, Creech Afb, Nellis Afb MLS#2079207. Realty ONE Group, Inc. Better Than New*this Home Shows Pride Of Ownership*low Maintenance Landscaping*corner Lot*security Gates*kitchen Opens To Liv Rm*lots Of Cabinetry*pantry*island*large Loft Upstairs*spacious Bedrooms*ceiling Fans*lots Of Storage*master Suite With Walk In Closet*garden Tub And His & Hers Vanities*definitely A Must See! MLS#2078154. Coldwell Banker Premier. Near Freeway Access, Stores, Brand New Smith Food King Marketplace, Hospital, & Access To Mt Charleston! MLS#2077849. ERA Brokers Consolidated. Master Suite Bath Double Sinks, Vanity, Jetted Tub, & Separate Shower. 4-Car Garage. MLS#2074944. Specialists Real Estate. Full length covered back patio and side patio. All appliances included. MLS#2074908. Realty Executives of SNV. Home shows itself. Bring your fussiest buyers. MLS#2072347. Monticello Realty LLC. **Please note the subject property is sold in as-is|where-is condition **FIXER UPPER- in need of interior paint|carpet|some drywall repairs|front door-garage door frame repairs|etc.- **PRICE REDUCED** MLS#2074142. The Baird Group. Its a corner lot home with no homes directly behind making it a private backyard. Great family home. MLS#2072690. Signature Real Estate Group. Upgraded wood and iron railing throughout house. MLS#2072141. Realty 360. Your clients can walk right in with bags packed knowing that this house is move in ready! MLS#2069203. Elite Realty. Bright and open floor plan too! MLS#2069281. Robinson Realty & Management. Pool size backyd with grass & full length stucco patio cover. Just 1 neighbor! Community park MLS#2068433. O48 Realty. open and spacious layout. Short sale - 1 bank. MLS#2068549. Century 21 Americana. 2 Car garage, roll up doggy door, desert landscaped backyard w/patio, 16 seer HVAC MLS#2067148. Simply Vegas. Nice single family home close to shopping and freeway access. MLS#2066860. Simply Vegas.